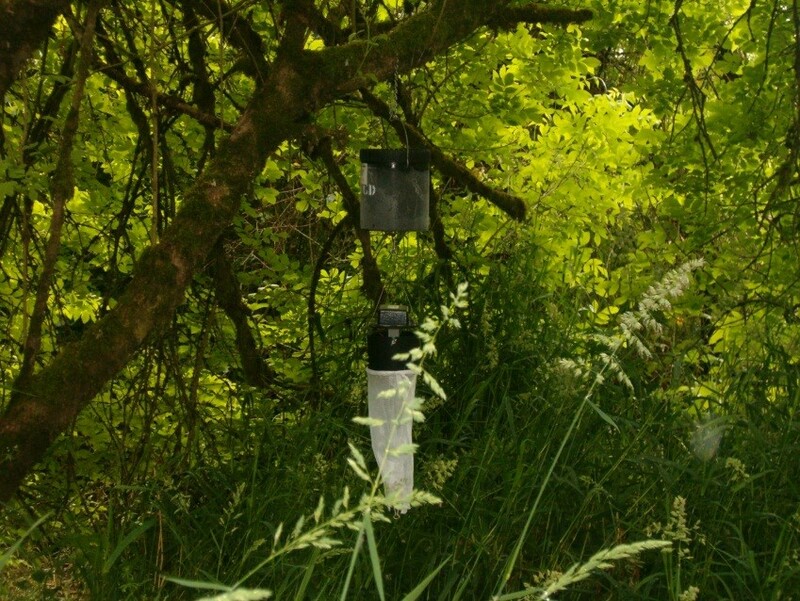 Mosquito surveillance is the most important factor in a successful mosquito control program. Inspection of breeding sites to evaluate control measures and the population of adult mosquitoes are monitored constantly. 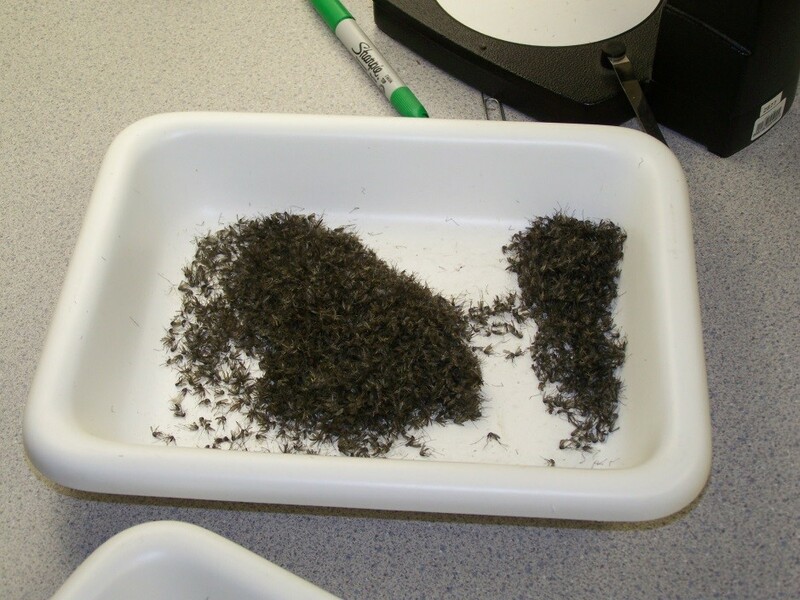 All adult mosquitoes collected are identified by species, sorted into pools, and then sent to a lab to be tested for the presence of Western Equine Encephalitis and the West Nile Virus. Example of C02 light trap. Â Dry ice is placed in the basket to attract mosquitoes. A small fan blows them into the net trapping them. This is a dipper cup of mosquito larvae. 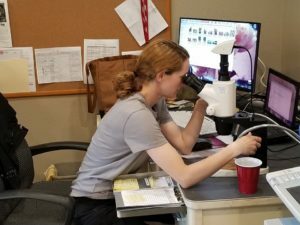 Adult mosquitoes are examined under a microscope to determine the species. 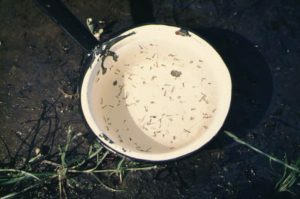 Â Once determined the mosquitoes are separated into pools of 50 mosquitoes and sent to the lab for testing. Birds are collected by field techs and tested as well. The birds mouths are swabbed and specimens are sent to the lab to be tested for the presence of West Nile Virus.